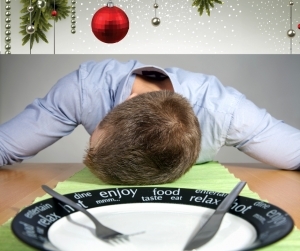 Party Season - Top 3 Essential Oils to Help You Recover from Too Much Food! - Amphora Aromatics Ltd – Supplier of pure essential oils and aromatherapy Products. Party Season - Top 3 Essential Oils to Help You Recover from Too Much Food! Here’s one last Party Season blend - this one is designed to help you recover after you’ve overindulged at the dinner table. Click to read more. There’s one thing that the vast majority of us will be doing for certain during the Christmas period - consuming large quantities of food! An essential part of any family celebration, food is a great way to celebrate and share times of goodwill with your family and friends. Abundance of food is certainly a great thing, until you come to that awful realisation that you’ve eaten too much and that you’re feeling bloated and lethargic! Help is at hand the natural way. There are many essential oils with carminative effects to help soothe the stomach and ease the digestion process. A gentle massage over the abdomen using the right blend of essential oils can be a really effective way of relieving discomfort and it’s great to have a natural alternative to conventional treatments which can be harsh and have other side effects. Ginger has long been used for its ability to soothe the stomach. It has often been used to treat motion sickness and will help reduce symptoms of bloating, nausea and excess gas. Fennel works as a natural and gentle laxative, carminative and diuretic. The fresh smelling herb is incredibly effective for treating various digestive issues. Sipping on a cup of fennel tea or gently massaging the diluted essential oil over the abdomen after a large meal will certainly give your digestive system a helping hand. Orange will help remove excess gas from the intestines. It is a natural diuretic so will help flush out excess toxins and help with water retention. It also helps the abdominal muscles relax, helping release gas and easing any abdominal pain. 25ml of carrier oil (you can use Sweet Almond, Coconut, Avocado oil, Grapeseed etc). Try to drink plenty of water as well and give your body time to digest the food properly by resting for an hour or so after your dinner. Whether you're going for classic Turkey, something different like Goose or a good old Nut Roast, we hope you are able to enjoy and celebrate Christmas in true style! This will be the last of our blogs for a little while. We’ll be back with plenty more great ideas for you in the New Year. Thanks for reading – don’t forget to check out our other blogs. You can click here or click Blogs at the top of the screen.